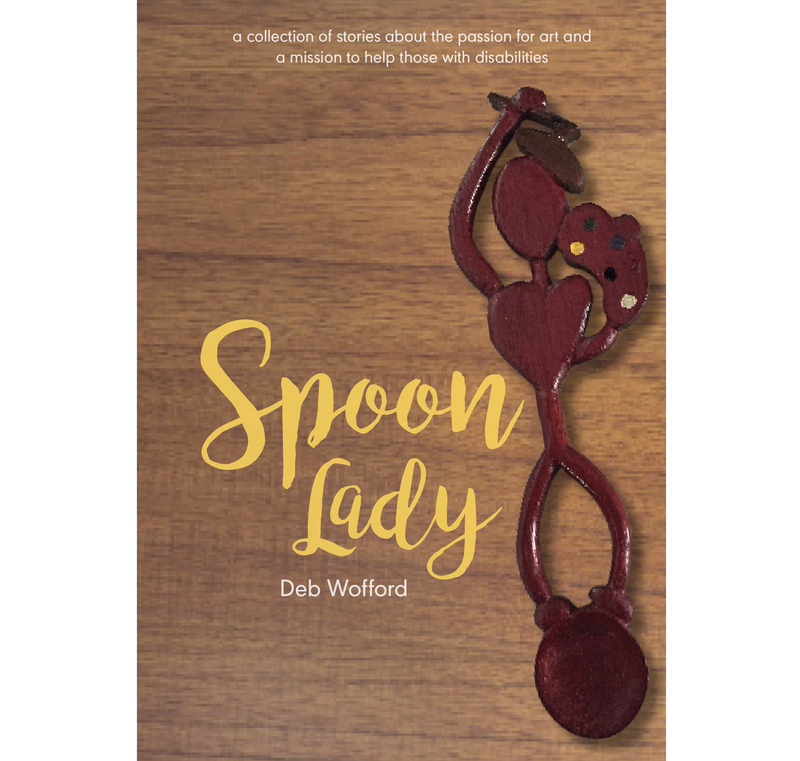 Spoon Lady is a heartwarming, hilarious memoir centered on an interesting and colorful group of individuals living in that invisible world of disabilities and one woman using her art as an avenue to bring the two worlds together. Deb Wofford, local woodcarver, owned and operated an art gallery in downtown Noblesville, Indiana for 20 years. Deb’s passion for the arts became a mission to combine both the world of artistic expression and the virtually invisible world of disability together. Her knowledge in both areas came more from life experiences rather than books and degrees. That being said, sometimes her decisions, or shall we say indecisions, were less than perfect, but the end result…?